The wait for the overdue debut of Arabian Vogue is finally over as the magazine proudly unveils a set of two covers for March 2017 featuring none other than Gigi Hadid. 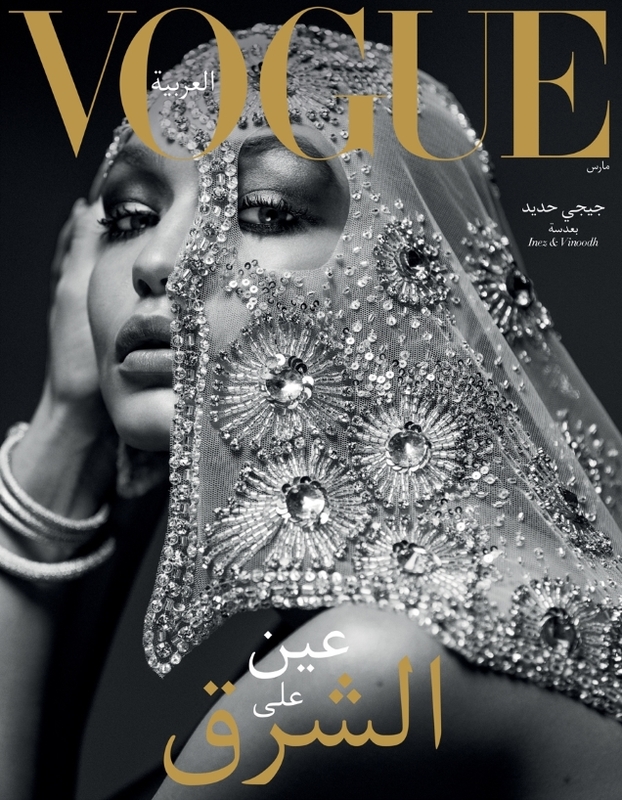 Already on the covers of British Vogue, American Vogue and Chinese Vogue this month, the model-of-the-moment celebrates her Palestinian roots by launching the first-ever issue of Vogue Arabia. Gigi is featured in two intense and captivating black and white portrait images shot by Inez Van Lamsweerde & Vinoodh Matadin. Forum members gave the covers a standing ovation. “Very strong debut. Respectfully conservative and still sensual. Thank goodness some publications still haven’t forsaken skillful lighting, sharp composition and layout. Hopefully the content will continue the cover’s momentum instead of devolving into an expensive department store catalogue. Gigi exudes such heat and silent-film star allure,” wrote Phuel the moment the covers dropped. “Mysterious, beautiful, expensive, and powerful. Such stunning covers. 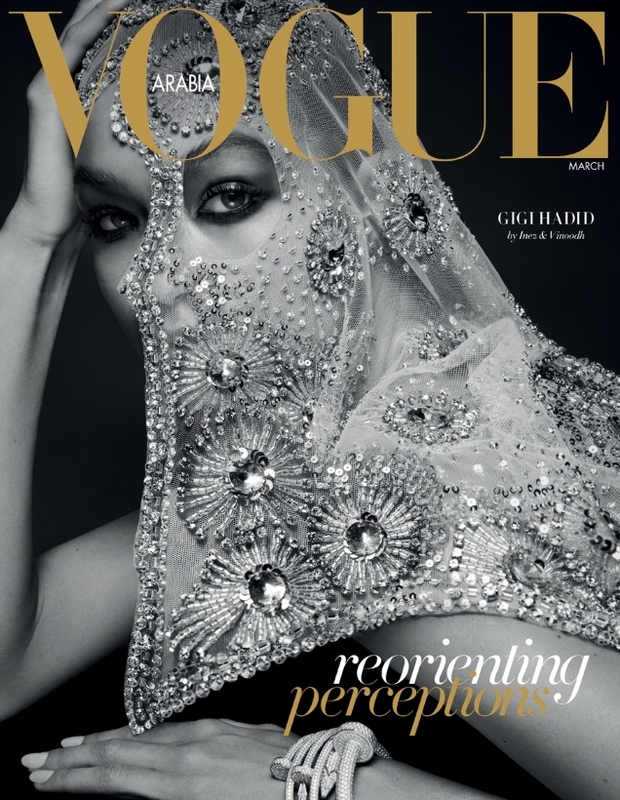 I knew they would use Gigi for the first cover, but wow at Inez & Vinoodh – so happy for them!” Miss Dalloway approved. “Both covers are gorgeous. Full stop,” applauded mepps. “Beautiful covers. I can’t believe it took this long for Vogue Arabia to launch!” echoed HodanChloe. Cute, however, wasn’t so sure. “I love it, but I think another model should have been used. But I guess using a big name is a good way to launch the magazine,” he pointed out. “It’s a beautiful cover image, and I’m not against Gigi, but I wish it was another model. It’s overkill to see her this much. That said, the preview and editorial looks like a great start from them, hope they can keep this up!” voiced 333101. A solid debut, would you agree? Check out some previews of Vogue Arabia’s launch issue and join the conversation here.